A Hillsborough County judge said that a 27-year-old man exhibited “a complete disregard for the safety of the community” when he went the wrong way on the Selmon Expressway and killed a 68-year-old grandfather. Shortly before midnight, Tampa police officers received multiple calls about a reckless driver in South Tampa. That driver turned out to be the man mentioned above. According to witnesses, he was driving his Ford F-150 erratically and without headlights. Amateur video shows him colliding with a sign, ignoring traffic control devices, and driving the wrong way on one-way streets. The man eventually got on the Selmon Expressway and headed eastbound in the westbound lane. He collided with the grandfather’s vehicle, which erupted into a fireball. The 68-year-old man died instantly. Judge Chet Tharpe denied bail after he heard details about the case. That violation substantially caused the wreck. Significantly, the legal violation need not be the sole cause of the crash. It only needs to be a substantial cause. There is a big difference. Moreover, the jury has the final word on who did or did not break a safety law. DUI is a good example. Even if the tortfeasor has a BAC under .08, that person may still be legally intoxicated. Or even if the tortfeasor pleads guilty to a lesser offense or gets off on a technicality, the negligence per se rule could still apply. Justification is about the only defense to negligence per se. A tortfeasor could plausibly claim that he or she had to make an illegal turn to avoid a crash. But driving while impaired is almost never justifiable, even if there was an emergency. These facts are usually more than enough to establish impairment. In fact, because the standard of proof is in a civil trial is much less than that in a criminal prosecution. Victim/plaintiffs must establish facts by a preponderance of the evidence (more likely than not). So, if the tortfeasor recently visited a party or commercial establishment where alcohol was served, it’s more likely than not that the tortfeasor also consumed alcohol. In both negligence and negligence per se cases, damages usually include compensation for economic losses, such as medical bills, and noneconomic losses, such as pain and suffering. Additional punitive damages may be available as well. An extremely high BAC level is a good example. These tortfeasors should know that they are far too drunk to drive, yet they choose to put other people at risk. 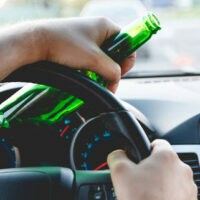 Alcohol-related crash victims have multiple legal options. For a free consultation with an experienced personal injury attorney in Tampa, contact The Matassini Law Firm, P.A. We routinely handle matters in Hillsborough County and nearby jurisdictions.